Your eyes continually produce tears beyond what you produce when you cry. Tears have the vital job of keeping your eyes moisturized and clean. However, if you don’t make enough tears or your tears are poor quality, you develop an uncomfortable condition known as dry eye syndrome. 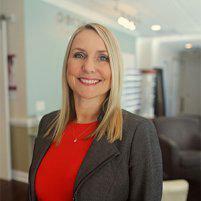 Tara Parnell, OD, diagnoses and treats dry eye syndrome at Perceptions Eye Health and Wellness in Southport, North Carolina. If your eyes are always watery, irritated or itchy, call Perceptions Eye Health and Wellness or make an appointment online today. Your tears have three layers: oily, watery, and mucus. The innermost layer, the mucus, spreads your tears over your eyes, keeping them moist. The middle layer is the watery layer. Water makes up the largest part of your tears and washes particles and debris out of your eyes. The outermost oily layer keeps your tears smooth and prevents them from drying too quickly. If the consistency of your tears is unbalanced, your tears don’t clean and moisturize your eyes correctly, leading to dry eye symptoms. Your age and gender also contribute to your risk of dry eye syndrome. As you age, your hormones change and your body produces fewer tears. Dry eye syndrome is also more common in women than men, because of the hormonal changes of menopause. Dr. Parnell offers customized care for dry eye syndrome, depending on the severity of your condition. Once Dr. Parnell understands what may be triggering your dry eye symptoms, she can determine a combination of treatments for effective relief based on your individual diagnosis. Here a few treatment options that Dr. Parnell advises. Using Warm compresses with a heated eye mask can ease malfunctioning meibomian glands located in and around your eyelids to soothe dry, itchy eyes. A new treatment using radiofrequency heats the glands and loosens the oils to help protect the surface of the eye and keep the tears from evaporating. As a bonus, it also treats wrinkles and crow’s feet around the eyes! You may benefit from the use of preservative free artificial tears. Many brands are available over the counter at your local pharmacy.You might need to try several brands to find the best formula for you. Or certain prescription eye drops to treat the inflammation that can be associated with dry eye. Certain nutritional deficiencies can also be associated with dry eye symptoms. Using supplements containing specific omega 3 fatty acids are also very beneficial. Remember, not all artificial tears are suitable for use with contact lenses. Dr. Parnell can recommend brands that are safe to use with contacts. In severe cases, Dr. Parnell may suggest punctal plugs. Punctal plugs block your tear ducts to prevent your tears from draining too quickly. Call Perceptions Eye Health and Wellness or make an appointment online today for expert treatment of dry eye syndrome.